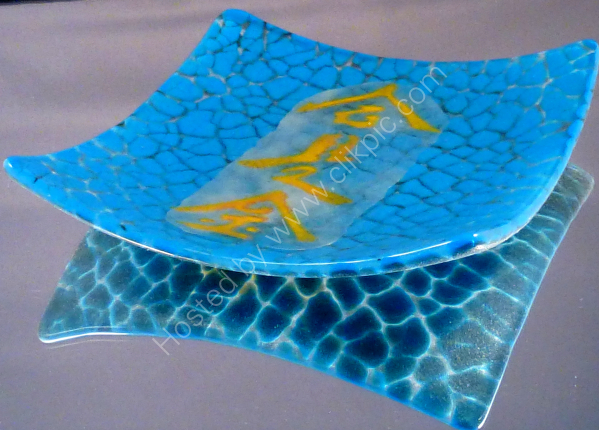 This curved dish measures 14.5cm x 14.5cm, is 5mm thick with the topside being a slightly darker turquoise colour than that shown on the image. 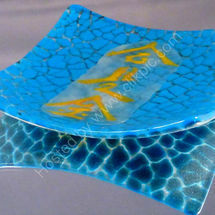 The underside of the dish is a matt texture. 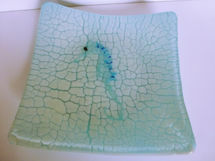 It is made with Bullseye glass and powders to give the crackle effect. 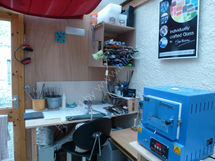 It can be purchased for £40 incl. p&p UK, so please contact me via email or the website for further details.